Srirangapatna, the erstwhile capital of Tipu Sultan Reign, is 14 km away from Mysore. Srirangapatnam was founded by the rulers of Ganga Dynasty in the 9th century. 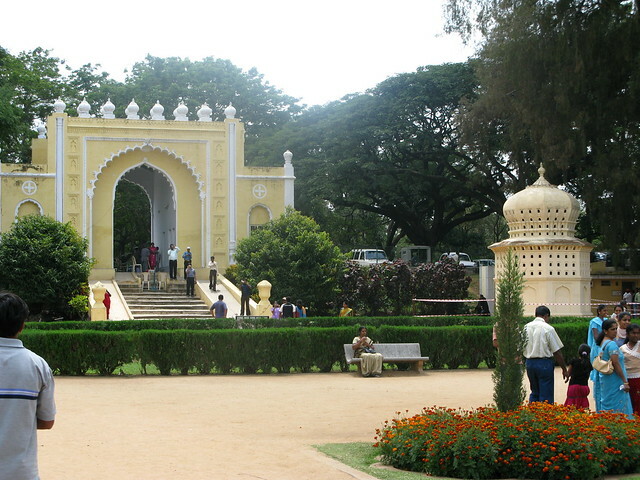 The famous Tippu Sultan Palace and Ranganathan Swamy Temple are located here. The Tippu Sultan Palace is fully constructed of Teakwood and the walls are frescoed colorfully. The tombs located in Gumbaz are known for its craftsmanship. The town has been named after Sri Ranganathaswamy temple. The town is nominated as a UNESCO World Heritage Site owing to its historical monuments, cultural and religious importance. It is one the best and popular tourist attractions in Karnataka. Srirangapatna town holds an imminent religious significance making Srirangapatnam an important Vaishnavite center in South India. It holds such an important holistic value that people looking for a peaceful and holy spiritual place must pay a visit. Some of the major temples are Sri Ranganathaswamy temple, Nimishamba temple, the Lakshminarasimha Swamy Temple etc. Apart from the sacred places, the town also consists of some amazing historical monuments, forts and gardens. Local attractions include Tipu Sultan Summer Palace which was built in the Indo-Saracenic style and constitutes rich architectural designs which are to be explored. Ranganathittu Bird Sanctuary is nearby and several bird species visit to this place during winters. Tipu Sultan Gumbaz is a detailed mausoleum and houses the remains of Tipu Sultan. Visitors are allowed to have a glimpse of it.